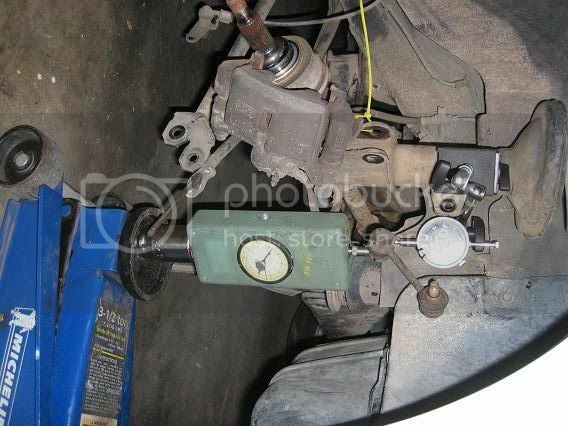 I set up a force gauge under the sway bar end, and a dial gauge on top to measure travel. I jacked up the swaybar and read the measurements. I was going to block up the other side so it would not move, but the resistance of the suspension kept it from even budging during my test. This leads me to believe it is a linear rate swaybar, and we'll even out the number at 85 lbs/inch. Since the ends are linked directly to the strut, that should equal 85 lbs/inch at the wheels. I also measured the unsprung weight of the rear corner and got 60 lbs. That is with all stock components. Next step is to do the same with the front, then measure the front strut insert dimensions. Then get some coil over springs, get a nice set of 4 Bilstein strut inserts, and have Bilstein custom valve them for my car. Here's to having a nice suspension by New Years! Unsprung weight of each rear corner is 60 lbs. thats pretty cool, any pics of your mk2 supra? 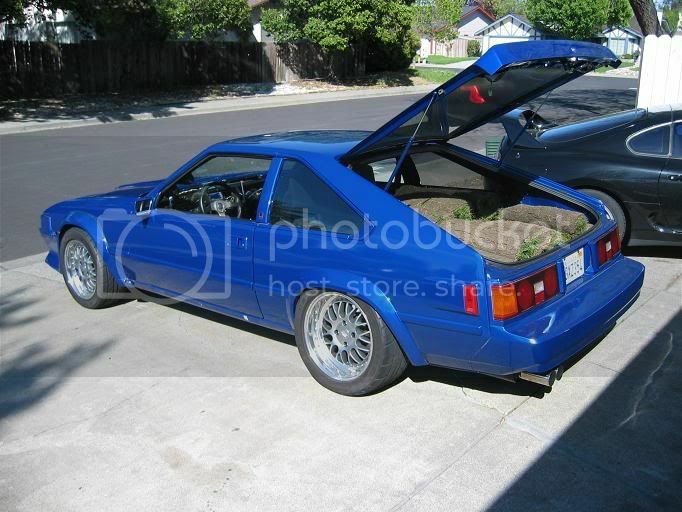 smog7 wrote: thats pretty cool, any pics of your mk2 supra?